Smooth and pleasing spaghetti with the superb flavor of fresh milled U.S.A. organic spelt. Crafted at the Eden Organic Pasta Company on vintage Italian equipment with brass dies and slowly air dried. 12th century healer St. Hildegard wrote, "Spelt is the best of grains. It produces a strong body and healthy blood for those who eat it and it makes the spirit of man light and cheerful." Spelt's highly water soluble gluten is easy to digest and is often enjoyed by those sensitive to modern wheat. Rich in healthy fiber, thiamin B1, and magnesium. It provides protein, iron, niacin B3, and zinc. Packaged in a reclosable, recycled and recyclable box with a tasty recipe and its photo on the back. 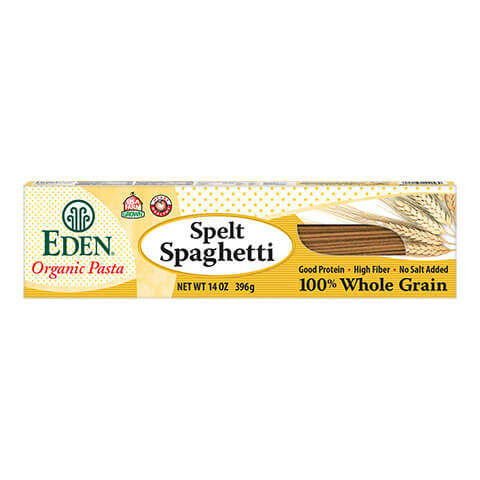 Eden Organic Spelt Spaghetti provides essential, 100 percent whole grain nourishment from 100 percent organic spelt. 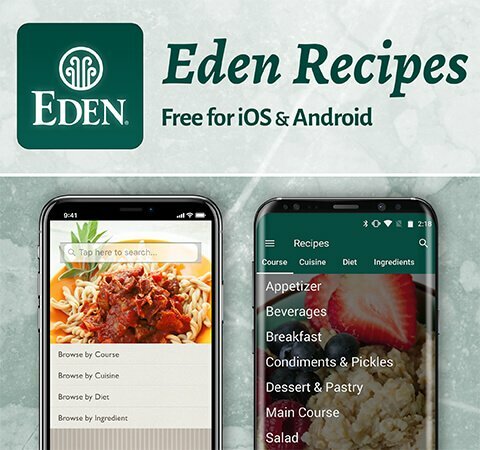 Eden spelt is organically grown on the high plains of Montana and North Dakota on family farms by those committed to building vital soil, cleansing the environment, and producing the safest and most nutritious and delicious food. Eden Organic Spelt Spaghetti is small batch hand crafted at the Eden Organic Pasta Company, a Detroit landmark employing traditional pasta making techniques and vintage Italian equipment since 1923, and the first food production facility in North America to be third party certified organic. Whole spelt is small batch milled into flour at our organic, AIB highly rated, Clinton, Michigan mill. The flour is blended and mixed with purified water and slow, thorough kneading prepares the dough. Using a traditional screw press, the dough is extruded through an artisan brass spaghetti die, cut in long strands, and hung on drying racks. It goes through an initial hot air/steam dryer to reduce moisture slowly, and to the drying room where it spends about 48 hours, three times longer than our other pastas. Each step helps to create spaghetti of exceptional flavor, texture, and character. The pasta is packaged in a reclosable box, with a delicious recipe and photo from Eden's kitchen printed on the back. Spelt Triticum spelta is an ancient and distant relative of modern wheat grown about 9,000 years ago in the Fertile Crest area around Iraq, Iran, Jordan and northern Greece. In Italy spelt is known as 'farro, farricello, Zea, and siligo', and in Germany as 'dinkle'. This ancient grain was the staple bread wheat of Europe and the Middle East until it was displaced by modern hybrid wheat. In Europe spelt is still a major food crop especially in Germany, Switzerland, and the Ardens region of Belgium. This ancient grain has not been tampered with by plant breeders and is non-hybridized. Spelt has a strong hull that stubbornly clings to the grain and is difficult to clean with regular thrashing machines. The hull, however, is a great asset protecting the grain from insects and pollutants, while helping to retain nutrients, moisture, and freshness during storage. Spelt require very little nitrogen in the soil to grow well, and naturally tend to choke out weeds. They are ideal crops for organic agriculture. Whole grain is the heart of a healthy diet providing the broadest spectrum of nutrients in the proportions that we need for good health and well being. Commercial pasta is made from highly refined chemically treated flour, processed in minutes through Teflon dies and ultra high heat or microwave drying, resulting in inferior flavor, diminished nutrition, poor cooking quality, and questionable value. According to the FDA, "Diets rich in whole grain foods and other plant foods and low in total fat, saturated fat, and cholesterol may reduce the risk of heart disease and some cancers." The FDA also states, "Low fat diets rich in fiber-containing grain products, fruits, and vegetables may reduce the risk of some types of cancer, a disease associated with many factors." 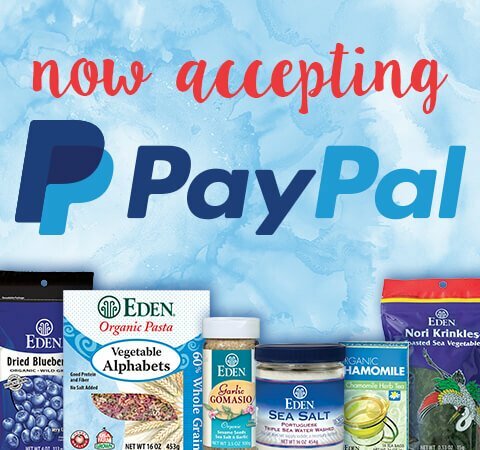 Eden Organic Spelt Spaghetti is 100 percent whole grain, low in total fat, saturated fat and cholesterol free, and an excellent source of dietary fiber. Also, "Diets low in sodium may reduce the risk of hypertension or high blood pressure, a disease associated with many factors." Eden Organic Spelt Spaghetti is made without salt and is very low in sodium. It is also an excellent source of thiamin (vitamin B1) and magnesium. It's a good source of good carbohydrate, iron, protein, niacin (B3), phosphorus, and zinc. When you bite into properly cooked, al dente, Eden Organic Pasta the flavor and character of the grain is evident. Eden Organic Spelt Spaghetti is made from whole, fresh, unbleached, non enriched flour. It doesn't need to be enriched because the grain has not be stripped of its nutrients. 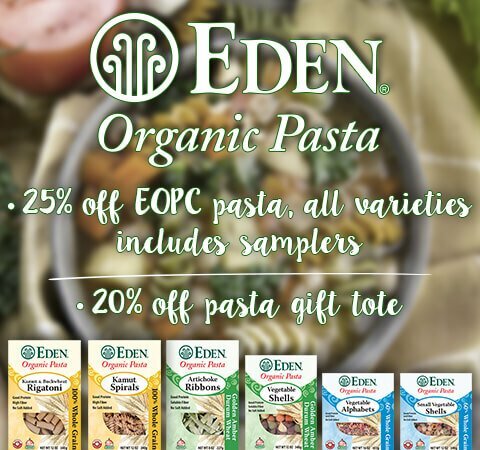 Eden Organic Pasta enhances energy, balance, clarity, and well being. Use Eden Organic Spelt Spaghetti in your favorite pasta recipes for real whole grain nourishment and delicious flavor. Great with Eden Organic Spaghetti Sauce, or simply tossed with Eden Extra Virgin Olive Oil and fresh herbs.